Youngstown, Ohio played an important role in my childhood memories: it stood as the rough halfway point for two-day drives between Deerfield, Illinois, where I grew up, and New York, where both my parents had relatives. Youngstown meant the end of Day One’s drive, a swim in a hotel pool, and all the other minor excitements kids find in travel. In June 1982, it also meant a phone call to Ray “Boom Boom” Mancini. Actually, it was my brother who made the call. We were surprised to find a Mancini listed in the Youngstown phonebook; if memory serves, the listing was for Ray’s father, Lenny “Boom Boom” Mancini. The old man answered. Is Ray there? My brother asked. No, said the old man, who’s calling? In the background, my brother thought he heard a voice—Ray’s—asking, Who is it? He identified himself and told Lenny that he was calling to congratulate Ray on winning the WBA lightweight championship from Arturo Frias a month earlier. Lenny thanked him, said he’d pass the message on to Ray, and hung up. Pretty forgettable, unless you’re a teenager. We talked about it for days. Back in 1982, everyone was talking about Ray Mancini. 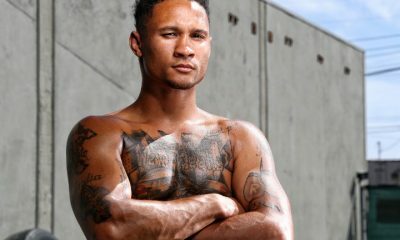 The 21-year-old lightweight was becoming one of the biggest names in boxing. He had it all: a crowd-pleasing style, in which he often threw in excess of 100 punches per round; a personal story, involving his love for his father and his desire to win the championship for him, that would put Rocky to shame; and boxing’s oldest marketing lubricant—ethnicity. Mancini was a throwback to great Italian fighters of decades past, when the “white ethnics”—especially the Irish and Italians—dominated the lower weight divisions. Lenny Mancini was ready to join that lineage in the early 1940s, but World War II short-circuited his career. He was injured in combat near Metz in France and never got his title shot, settling down to family life in blue-collar Youngstown. By the time Ray Mancini entered the boxing spotlight, Youngstown had fallen on hard times and badly needed a rallying point. Mancini was marketing gold: his fights were televised on CBS, and Madison Avenue wanted to sign him up. “It was like Leave it to Beaver,” says Gina Andriolo, who handled Mancini’s contracts. “Except Beaver was knocking guys out.” Mancini’s lone defeat, to Alexis Arguello in 1981, had only ennobled him: just 20 years old, he had fought the great Nicaraguan nearly to a standstill before the fight was stopped in the 14th round. The two men’s post-fight embrace seemed to exemplify what was good in boxing. Just as Mancini’s popular appeal was cresting in November 1982, Sugar Ray Leonard announced his retirement (he’d later reconsider), and boxing had an opening for the job of Top Star. In a sport dominated by black and Hispanic fighters, Mancini—“symbolically potent, demographically perfect,” as Mark Kriegel writes—seemed to be the guy. Then fate intervened. Kriegel’s new biography, The Good Son, tells all of this with an intimacy of detail and a minimum of editorializing, and the result is a book that brings the Boom Boom saga alive in all of its bloody, intergenerational passion. It’s the story of Lenny, a brawler so fierce that Rocky Graziano avoided him, telling him decades later: “Boom Boom, you were the only guy got pissed off when someone swung and missed you.” It’s the story of Lenny’s two sons: Leonardo, the bad-boy, howling rebel who ends up dying young from an errant pistol shot; and Raymond, the good son of Kriegel’s title, an eight-year-old who so adores his father that he tracks him down in Youngstown bars to bring him home, and who pores over Lenny’s old boxing scrapbooks. It’s the story of mobbed-up, deindustrialized Youngstown, rife with crime, unemployment, and broken lives. And it’s the story of Duk Koo Kim, Young Mee, and their son Jiwan, not yet born when his father dies in November 1982 after losing a championship match against Mancini. 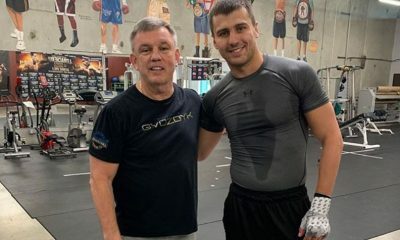 Kriegel is steeped in boxing and has talked to just about anyone who could tell him anything about the Mancinis, about Youngstown, and about boxing in its last golden era. For Kriegel, Mancini’s story is also about our need for stories, especially those we make out of our own lives. Winning the lightweight title for his father was a fable Ray Mancini wrote in his head as a little boy and then set out to make real. But Mancini isn’t the only person in The Good Son determined to star in his own redemption tale. Duk Koo Kim was a poor, fatherless Korean boy born to a mother he called “a woman of great misfortune.” His earliest memories were of hunger and wandering. He slept under bridges, peddled pens on Korean buses, and seemed marked out for a life of poverty and invisibility. Yet he developed a vision of himself as a man of consequence. Somewhere deep down, he knew that he was worth a damn, that he deserved respect and dignity and love. Imagine that. What really set Duk Koo apart was that he was willing to go to extraordinary lengths to prove it. So powerful is Kriegel’s portrait of Kim that at times he rivals the book’s main character. Mancini, who came into every fight in physical condition few, if any, opponents could match—he carried 70-pound sandbags up hills and was an early adopter of weightlifting—had watched films of his challenger’s bouts and knew what many boxing scribes did not: that Kim was “going to be a headache.” On the lampshade in his Las Vegas hotel room, Kim scrawled a message in Korean that translated to “live or die” or perhaps “kill or be killed.” Through his dressing-room walls before entering the ring, Mancini heard Kim pounding the lockers and screaming—“war cries,” Mancini remembered. The Mancini-Kim fight would become, in Kriegel’s chilling phrase, “a stubborn accrual of brutalities.” At the bell for the first round, Kim ran across the ring and hit Mancini flush in the mouth, and the battle was on. 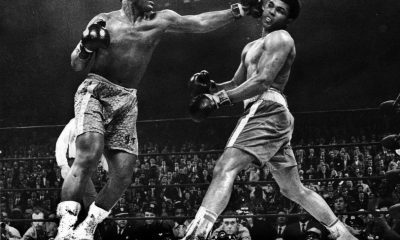 The crowd ringside and the CBS broadcast team of Tim Ryan, Gil Clancy, and the just-retired Ray Leonard marveled at the bombs both fighters were throwing. Kim was outmatched but unyielding; Mancini scored heavily in the first half of each round, but Kim would roar back before the bell. Gradually, Mancini’s superior physical strength began to tell. In the 13th round, Mancini looked ready to put Kim away, but in the last minute the challenger rallied yet again. The stage seemed set for a dramatic finish, but when Mancini charged off his stool for the 14th, Kim finally wilted, going down from one last Mancini combination. Using the ropes, Kim somehow pulled himself up—the late Ralph Wiley, writing then for Sports Illustrated, called it “one of the greatest physical feats I had ever witnessed”—but he could barely stand, and the referee stopped the fight. Not learning of Kim’s condition until later, Mancini celebrated his hardest victory. Kim was taken out of the ring in a stretcher, and it was soon clear that his condition was hopeless. “There is severe brain swelling,” the physician who operated on him told reporters. “The pressure will go up and up, and that will be it. He'll die.” Kim’s mother, Sun-Nyo Yang, flew in from South Korea in time to sit by his bedside, where a consultation among other family members resulted in agreement that, in a doctor’s words, Kim “belong[ed] with the dead.” His life support was disconnected. Three months later, Sun-Nyo killed herself by swallowing pesticide. Kriegel tells us that she did so before she could receive a letter—even then in transit—from Mancini’s mother, in which she offered Sun-Nyo a home with the Mancini family. In July 1983, the bout’s referee, Richard Green, was found dead of an official suicide (disputed by some). With a body count like that, the Mancini-Kim fight will never be forgotten, but its casualties didn’t end with the dead. A sensitive and religious man, Mancini was devastated, and he went through the motions in subsequent fights. The ad men skulked away from his door; Madison Avenue’s business model rests on denying death, not confronting it. The Kim fight and its aftermath, Kriegel writes, cost Mancini “his standing as an All-American boy, his legitimacy as a suitor for both Miss Ohio and Coca-Cola.” And for many, the fight’s long-term victim was boxing itself, which began to lose its mainstream appeal, especially on TV. “The ratings dropped like a rock after that,” then-CBS boxing head Mort Sharnik tells Kriegel. 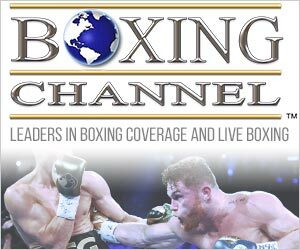 “After a few years, boxing was no longer on the networks.” The fight also prompted the eventual shortening of championship fights from 15 rounds to 12, the standard today. When Mancini rebounded in January 1984, stopping the formidable Bobby Chacon in three incendiary rounds, some saw a flash of the old Boom Boom, but it was not to be. He’d never win again. 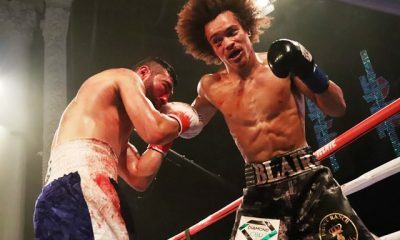 In June of that year, Mancini lost his title in an upset to Livingstone Bramble, a counterpunching Rastafarian with a penchant for boa constrictors and curses. 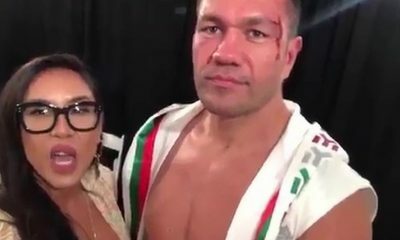 Bramble fostered bad blood prefight by calling Mancini a “murderer,” correctly sensing that it would drive the champion out of his head. But it was a clash of heads in the first round that threatened Mancini’s title, causing a wicked cut over his right eyelid. 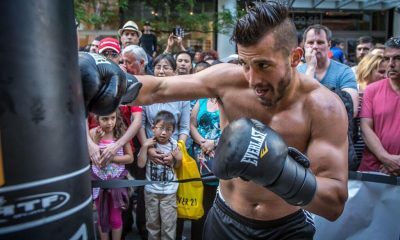 His brilliant cutman, Paul Percifield, kept it contained, however, and Mancini entered the 14th round—that round again—with the lead on two scorecards. That’s when Bramble stunned him with a combination that took his legs away and left him defenseless along the ropes. The referee moved in. 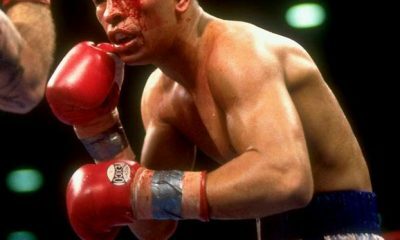 The loss to Bramble meant the shelving of several big-money fights for Mancini, including a match against Hector Camacho and an irresistible Battle of Ohio against Cincinnati’s Aaron Pryor. 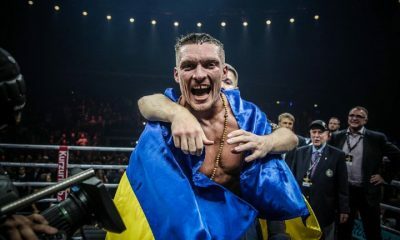 Instead, he took on Bramble again, losing a decision by a one-point margin on all three scorecards despite fighting the better half of the bout with cuts that looked sure to land him in an emergency room. (As Warren Zevon’s homage to Boom Boom put it: “If you can’t take the punches, it don’t mean a thing.”) The bitter adversaries embraced at last—Bramble is full of praise for Mancini in The Good Son—and Mancini waved to the crowd like a winner. He’d come back twice more, as champions do, and lose, as champions must. Maybe. But happiness is never really the goal.